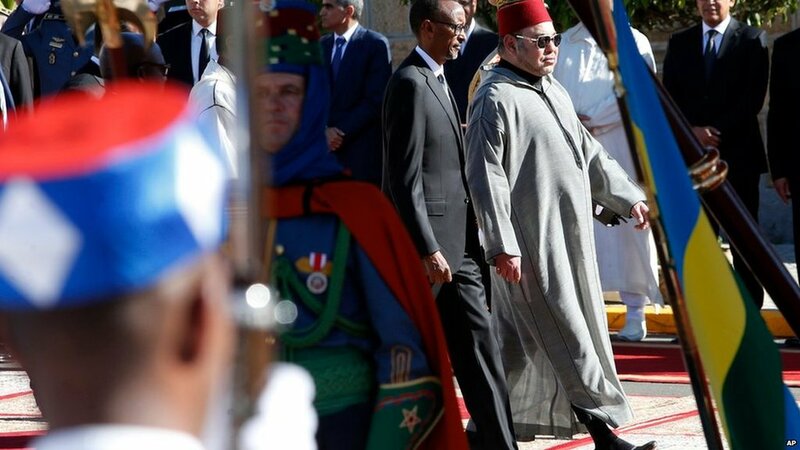 Last month Morocco’s King Mohammed VI met Rwandan President Paul Kagame, whose country is hosting the AU summit. | Photo courtesy of the AP. Recently, in a glossy conference hall in the Ethiopian capital, a king spoke about his change of heart. The king, Mohammed VI of Morocco, was at the African Union headquarters for the first time. Though his father helped establish the organization in the early 1960s, he withdrew in protest of its recognition of Western Saharan independence. Morocco rejoining the African Union is an attempt to dismantle this final weapon. And it represents a shift in strategy in Morocco’s effort to lay claim to Western Sahara. The African Union—one of Western Sahara’s longest and most important institutional allies—should work to protect Western Sahara’s seat at the organization, lobby harder for its long-awaited independence referendum, and be wary of potential political manipulation by Morocco. Inhabited by the nomadic Sahrawi people, colonized through the 1970s by Spain and today claimed by Morocco, the status of resource-rich Western Sahara has been contentious for decades. The border between Morocco and Western Sahara was drawn up at the Berlin Conference of 1884, when European powers divvied up the continent to appease colonial interests. Western Sahara became a Spanish colony, while neighboring Morocco fell under French control. After gaining independence in 1956, Morocco claimed that Western Sahara—still a Spanish colony—was part of its precolonial kingdom. While the United Nations agreed that Western Sahara shouldn’t be under Spanish control, it fell short of declaring that it should be part of Morocco—promising the Sahrawi people a referendum to decide their fate. In 1975, Spain relinquished control over the territory to Morocco and Mauritania, igniting a conflict between the two and Sahrawi independence fighters. Mauritania withdrew its troops in 1979 and recognized Sahrawi independence. Morocco and the rebels remained at war until 1991, when the UN brokered a ceasefire which included another promise of an independence referendum for the Sahrawi people. The conflict created thousands of refugees, many of whom still live in camps in Algeria and Mauritania. The UN still hasn’t organized a referendum, because Morocco refuses to allow it. The African Union is one organization that has repeatedly called for this referendum, in part because of Western Sahara’s membership in the union and its network of allies. But today, Morocco is already taking steps to isolate Western Sahara within the organization—and succeeding. At an African Union summit in July, 28 member countries issued a letter with two requests: that Morocco be readmitted to the union, and that Western Sahara’s membership be suspended. In November, Morocco’s state-owned phosphate agency announced that it would be building a $3.7 billion fertilizer plant in Ethiopia. The following month, Morocco signed 15 bilateral trade agreements with Nigeria, including one to build a major gas pipeline that will link Nigeria with European markets. Both Ethiopia and Nigeria are heavyweights within the African Union and have historically backed Sahrawi independence—neither one was a signatory to the July letter. But Morocco’s renewed interest in both countries underscores a soft power approach to Western Sahara—it’s trying to peel support away from Sahrawi independence. Although 84 countries around the world have at one point recognized Western Sahara, 37 have subsequently suspended or withdrawn that recognition—including Burundi, Chad, Madagascar and Burkina Faso. Morocco’s hope that countries may be willing to “un-recognize” Western Sahara is well-founded. Morocco’s renewed membership in the African Union must not turn into an opportunity for it to exert new political pressure on other member countries. The African Union should pressure Morocco to continue diplomatic negotiations. And the union must also increase pressure on Morocco, and the United Nations, to finally make good on the long-held promise of a referendum for Western Saharans. The Sahrawi people, like the rest of Africa’s residents, deserve the chance to decide their own fate. 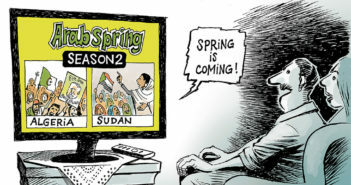 Ayenat Mersie is a freelance journalist who writes mostly about Africa, agriculture, and politics. She is currently pursuing a degree in journalism and international relations at NYU. Before moving to New York, she worked at an agricultural data startup in Nairobi, interned at the UN in Addis Ababa, and studied politics at Princeton.